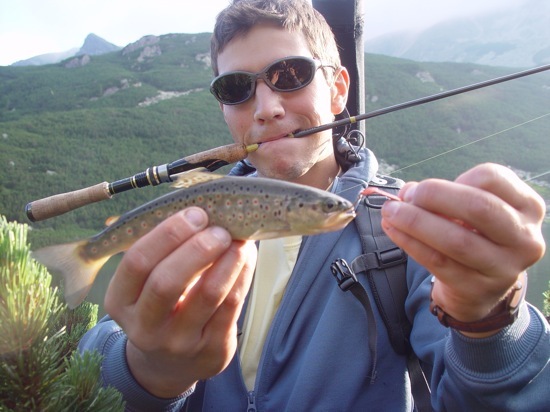 It all started last year, with an exceptional trout fishing trip trough Romania for a week, when I’ve fished all over the country, trout only. Rivers, lakes, whatever I could find, I investigated. 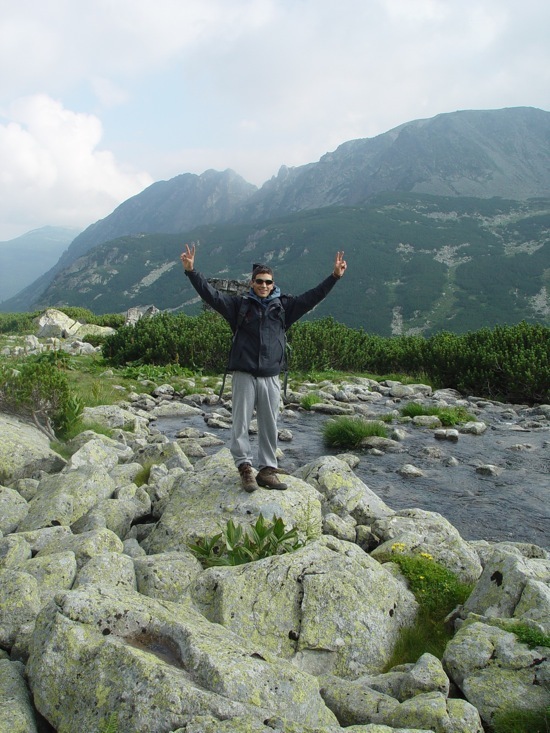 I knew I’d go over 2000 meters in 2010 both hiking and fishing all together. Nothing on earth like it! Try to catch them by hand if you can. It's what happens when you leave home without a fishing net. I decided to go hike fishing for 5-6 days. I got my car to the actual end of the road, where I left it for the next 5 days. From there a 2 hour hike to the place where we would camp. I had at least 60-65 lbs of luggage, so not such an easy hike. I really enjoy sight seeing, hiking on designated routes on summits, or other glacier lakes, so it’s not all about fishing. There’s nothing like it in the world. This is how freedom looks like, no cell phones, no one to bother you. It’s like problems never existed, you’re lost in the moment. You thought this hike was easy? Just climbing on rough terrain. No wonder cars or bikes can't get there. 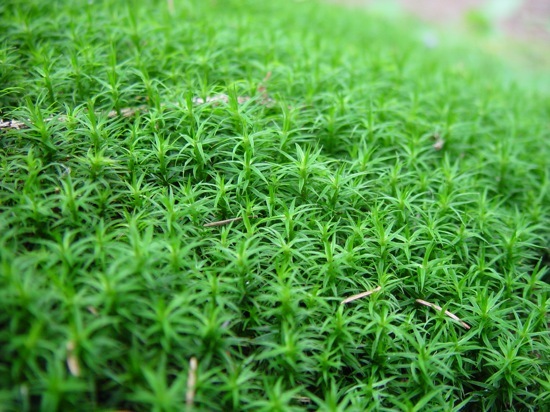 Nice soft moss all over the place. 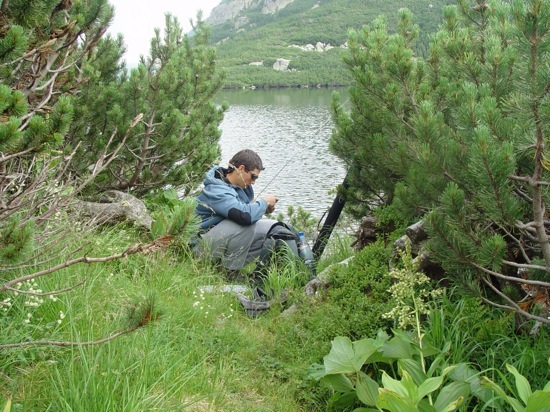 To go on such a hike you need some basic equipment, besides your designated fishing tackle. You can’t leave home without a good pair of hiking boots, but that’s a must for any fisherman, tent, sleeping bag, stove. Besides your large backpack, I’d recommend a smaller one just for 2 to 6 hour hikes that can fit the basics: food, waterproof clothing, water, your camera, and of course, some fishing tackle. You might enjoy a nice synthetic fleece that acts as a wind stopper as well. I’d highly recommend it, as at over 2000 meters altitude, temperatures can plummet 10-15 degrees in less than 5 minutes. If you prefer warm food and tea the stove is a must. You have about zero wood at this altitude, plus you’d ruin the scenery,that’s almost 100% intact. Lets get back to after that 2 hour hike to “base camp”. For whoever knows me, I can’t stay put, not even if I’m dead tired. As soon as me and my girl friend got the tent installed, and everything inside it prepared for the first night sleep, we made a 30 minutes hike to a nearby lake. 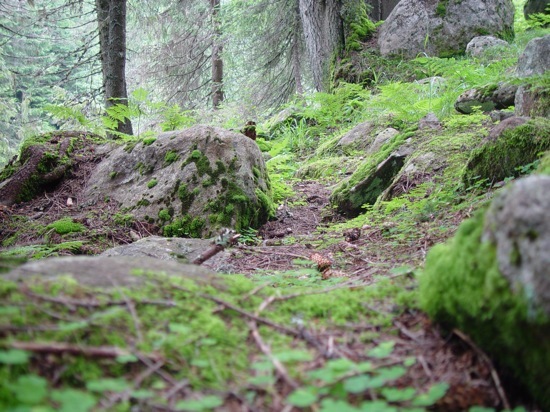 We lost the trail, and had to follow the boulders that were going straight towards the lake. 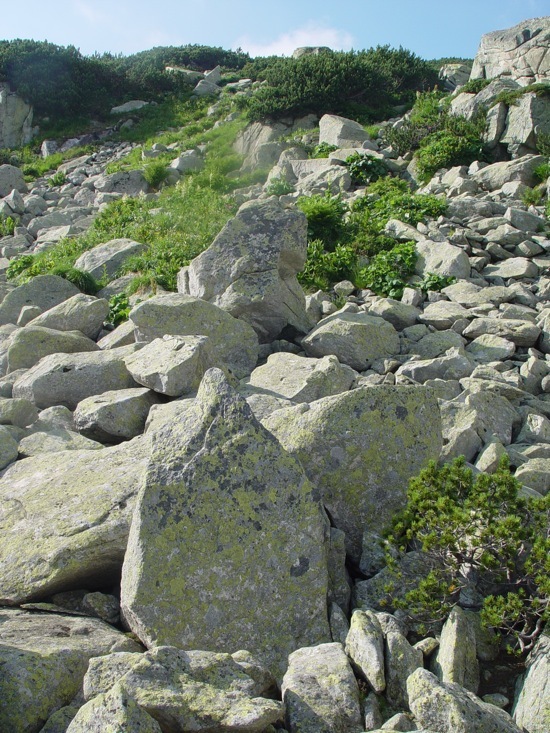 I’m used to jumping rocks and boulders, I actually prefer hiking over this kind of terrain, as it keeps my brain focused, and forget about the fatigue or muscle pain, but for whoever is not used to it it can be hell on earth. This is the extreme side of fishing, I guess. Still not tired? You'll have to climb this to go to bed ). Luckily it's all downhill to the lake. We got to the lake, and it only took 20 seconds to spot a few trout. 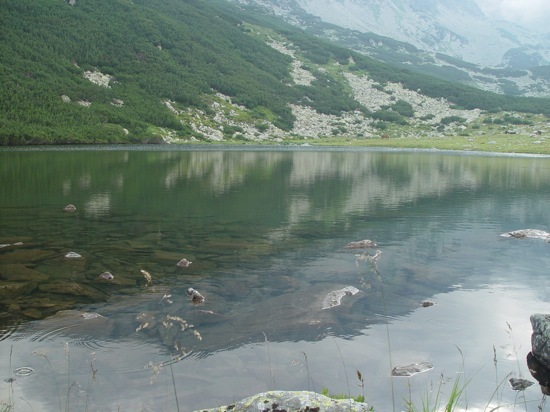 It’s a shallow glacier lake, not more than 1.5m-2m deep, but it’s filled with trout. Not the largest, but enough to have fun. Even though the lake has tons of minnows, these trout are focused on insects. That means they are really hard to catch on spinning gear with regular tactics. Even so you can trick them with dead accurate casts. I don’t know how many of you are used to spinning sight fishing, but it’s tons of fun, and you can see it all happen. You just need to find the perfect lure that they’ll hit as soon as it touches the water. For me the Megabass brown Izabella did the trick. 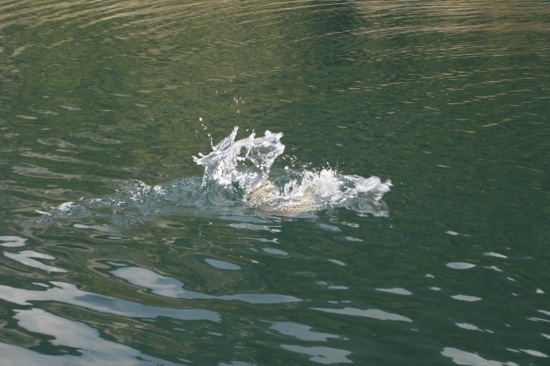 The steps were: spot a trout, concentrate, cast into it’s field of vision so it can hit your lure as soon as it touches the water, and you’re on. Not all of them will get your lure, but you’ll trick a lot of them this way. They sometimes need to see the lure move for 1-2 seconds before actually biting. This is how paradise must look like. I didn't think it would get better than this... but it does. Not the largest trout you'll see, but still, good practice. Izabella didn't let me down this time. I’ve caught a few of them. Nothing picture worthy, but I had a lot of fun perfecting this fishing technique, and of course, releasing them. We had enough for the day, so we return to the camping site for a long night rest. Tomorrow we have a long hike ahead of us, unlike anything we’ve seen in our lives. This entry was posted in Fish, Lifestyle and tagged above 2000 meters, backpacking, catch and release, climbing, descent, fishing net, hiking, hiking boots, izabella, megabass, packing, spoons, st.croix rods, trout. Bookmark the permalink. Post a comment or leave a trackback: Trackback URL. Wow! Stunning scenary, i absolutely taken back by your pictures on your hiking/fishing trips…and at the same time extremely jealous as nothing comes to close to this in the UK. It looks like some day soon i will have to visit your stunning country! 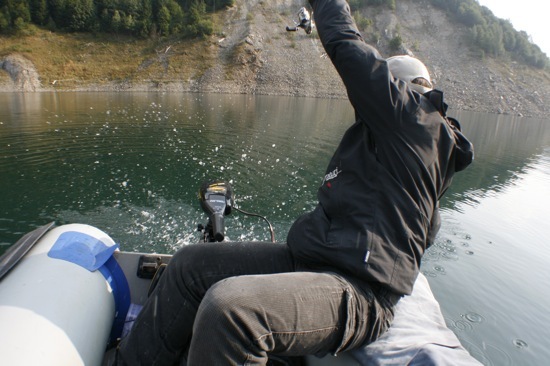 looks like a great time i would love to fish romania, thats a de ream vacation for me! keep posting this was good! Did you develop this site yourself? Please reply back as I’m looking to create my very own site and would love to learn where you got this from or just what the theme is named. Kudos!